Downtown Zeeland will celebrate the Day of the Young Child 10 a.m. to 2 p.m. Saturday. Activities for the 16th annual celebration will include activity booths and parent-resource booths at Cityside Middle School, 320 E. Main Ave., 20 vehicles on display down Main Avenue including a fire truck, and more vendors than at last year’s festival, event organizers said. 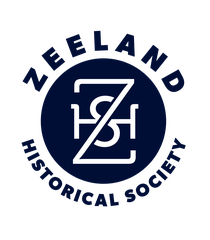 The Zeeland Historical Society’s Dekker Huis Museum, 37 E. Main Ave., will host an Eye Spy walking tour and the Gary Vruggink Band will perform from 11 a.m. to 1 p.m. at the school. Activity booths in Cityside’s gym will include Play-Doh, coffee-filter flowers, bead necklaces, dot art, face painting, clean mud, tattoos, stamp bags, fly-swatter painting and a train display. The Safe Kids Coalition will distribute low-cost children’s bicycle helmets. About 700 families attended the event in 2006, and 900 last year, with even more expected this year, according to organizers.